Helen Keller International (HKI), Nigeria, in partnership with the Lagos State government and funding from Mondelez International Foundation has flagged-off the school garden sites in government primary schools and communities in Ikeja Local Council Area of Lagos State. The healthy lifestyle project, expected to run for a period of three years, from January 2018 to December 2020, was designed to raise awareness on the importance of good nutrition, gardening as well as physical fitness to the schools and communities. During the formal ground breaking ceremony, held at Agidingbi Primary School weekend, with the full presence of Cadbury Nigeria Plc, a subsidiary of Mondelez International Foundation, school pupils, and government officials, among others, the organisers listed benefits of the project. According to them, the gardening activities will provide a platform for children to participate in school gardening thereby, helping them plant, weed and harvest nutritious crops. Commenting Philomena Orji, HKI’s Country Director, said a school gardening and health club would be established, thereafter, to help maintain gardens, promote nutrition and fitness activities and on-going student participation. “The new programme is building on our commitment to help communities thrive and improve the well-being of school-age children and their families. “The nutrition and healthy lifestyle project aims to bring nutrition education, active play and fresh foods to undeserved children and their families in Ikeja council area. The project is part of the Mondelez International Foundation’s multi-year $50m commitment to promote healthy lifestyle and address obesity in nine countries, including Nigeria,” Orji added. The organisers further disclosed that aside the 6,000 children in the schools, an estimated indirect reach of about 48,000 children and their families across the Community Development Areas (CDAs), would be achieved. In his remarks, Bala Yesufu, Director, Corporate and Government Affairs, Cadbury Nigeria Plc, said the Mondelez International Foundation, which owns 74.99 per cent of Cadbury Nigeria, is passionate about creating positive impact on people on the planet. “The Foundation is focused on three pillars namely: investing in community programmes that promote active, healthy lifestyles to help improve the lives of children and their families around the world; providing humanitarian aid through cash and product when disaster strikes; and inspiring our colleagues to contribute their time and talent to charitable causes. “These community partnerships are transforming the lives of more than a million children in 14 nations spanning five continents. This is one of such programmes and Cadbury Nigeria joins nine other countries in the Mondelez International family in this initiative, which seeks to promote healthy lifestyles and address obesity, he said. 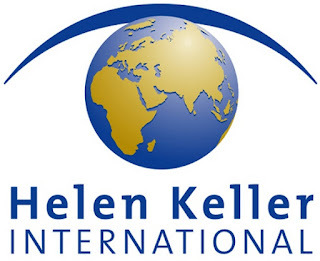 “Our partner, Helen Keller International, has so far trained 130 stakeholders, including teachers, nutritionists and agriculturists that will drive this project, which will run over a three-year period with a target of reaching about 6,000 children and families in nine schools within Ikeja Lagos, our host community. “Let me reiterate that the primary objective of this programme is to teach children the importance of proper nutrition, physical activity and gardening through in-school and after-school activities,” he said.